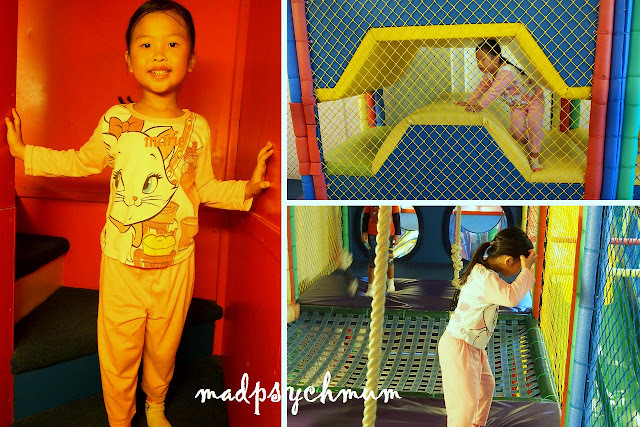 After breakfast, I finally had time to bring my girl to her favourite place in the resort: Adventure Zone! It costs about S$7 per hour and approximately S$21 for unlimited play. I decided that 1 hour is more than enough because we had other activities to occupy us at the resort (that are free hehe). Note that socks, long sleeves and pants are required for play in Adventure Zone. 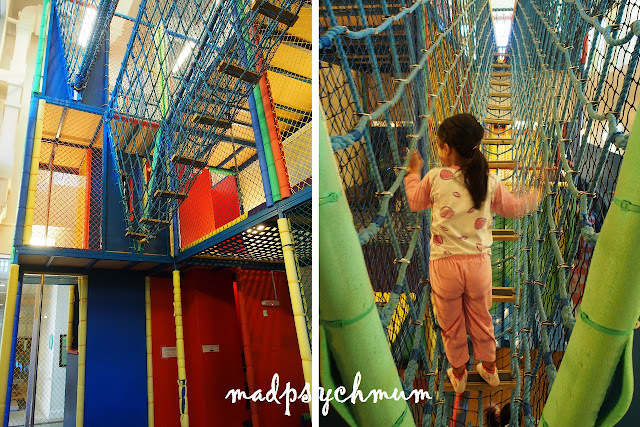 This is because the slides are really high and there are a lot of ropes which may be abrasive to the child's dedicate skin. This Adventure Zone is a lot smaller than the one we had visited in Penang but my girl still had a lot of fun! When the hour was up, I had to drag my girl out of there to go back to our room. She really didn't want to go! 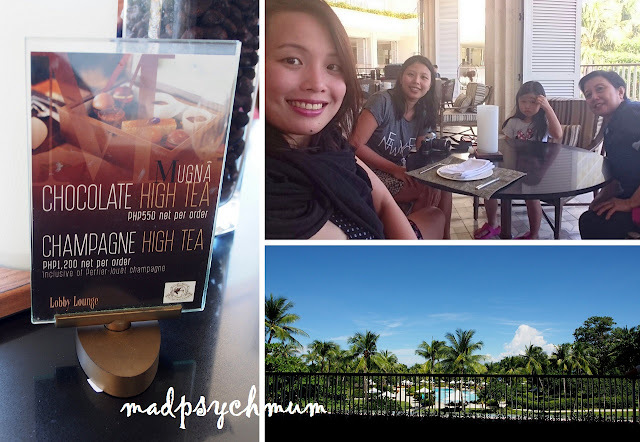 We rejoined my mum and sister and went for Chocolate High Tea at the Lobby Lounge. I was really excited because there is no food that I love more in this world than chocolate! Enjoying a nice afternoon of chocolate high tea with an amazing view! 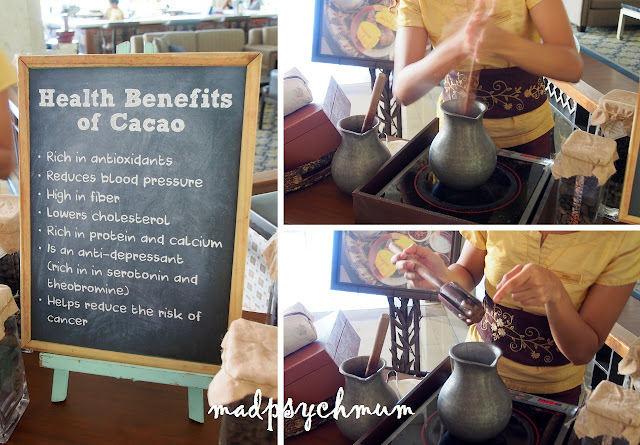 It started with a demonstration of how the cocao is melted and stirred until it becomes rich chocolate that we can drink. The cocao used are all sourced locally and I am told that there are plans for Shangri-la Mactan to grow their own cocao trees! So cool right? The end of the stick is a round head which is supposed to grind the cocao as you spin it. Me giving it a try! Once all the cocao have been melted, the hot chocolate is ready to be served! 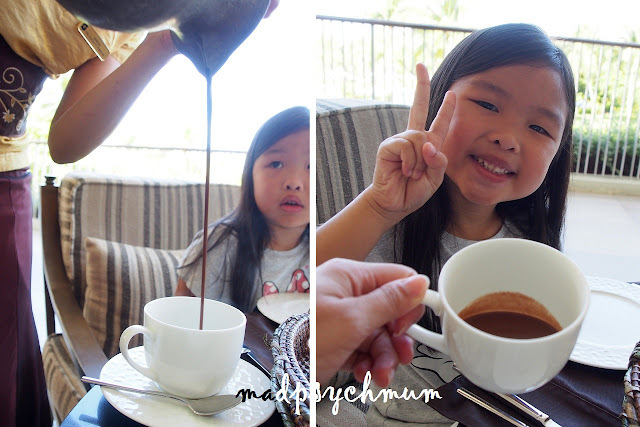 Pouring pure hot chocolate into our cups for us to savour! 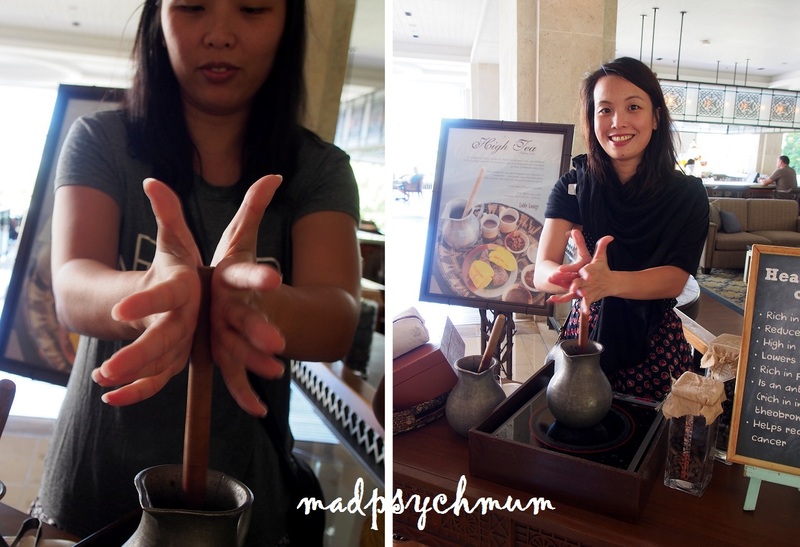 The hot chocolate was paired with the Filipino traditional sticky rice and mango (the same dish we ordered the day before). If it's just 2 of you, I'll say give this a miss. Because of the heaviness of the sticky rice, this dessert is best appreciated when shared among many people. Next, the staff brought us a box of chocolate treasures! There's a particular order of eating the desserts so that you can have the maximum enjoyment. I can't remember but no worries, the friendly staff will be able to help you with that. Various tasty treats that were so delicious! After an awesome afternoon of chocolate, we headed back to the pool for a swim. Look at the awesome ocean view! We decided to splurge on buffet dinner at the Tides for our last dinner at Cebu. 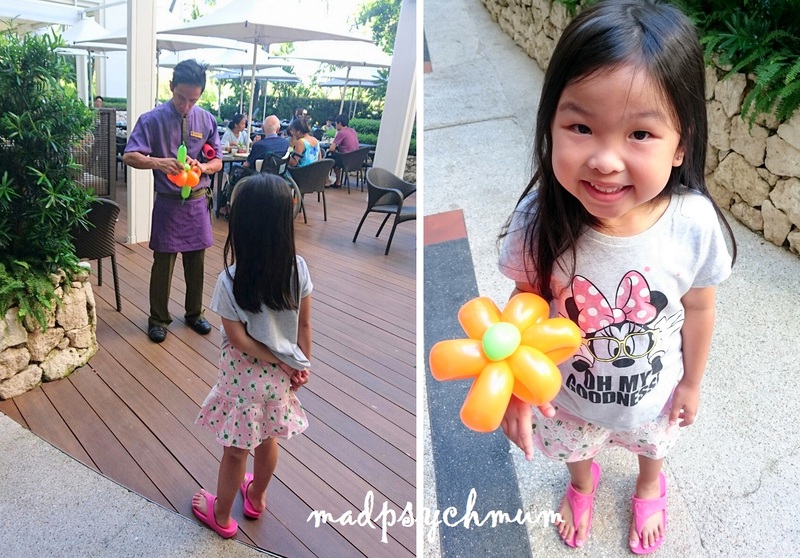 The next morning, it was back to Tides one last time for our breakfast where my girl got a balloon sculpture from one of the staff! Super happy with her balloon! I can't believe 4 days went by just like that! It was time for us to check out and head back home. 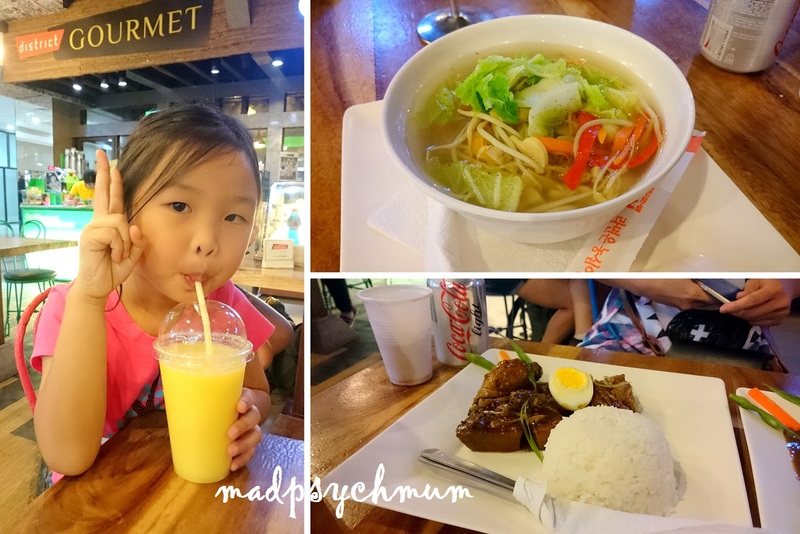 We reached the airport and had lunch at District Gourmet. The food is not bad actually, but make sure you've got time to wait because they may take a while. 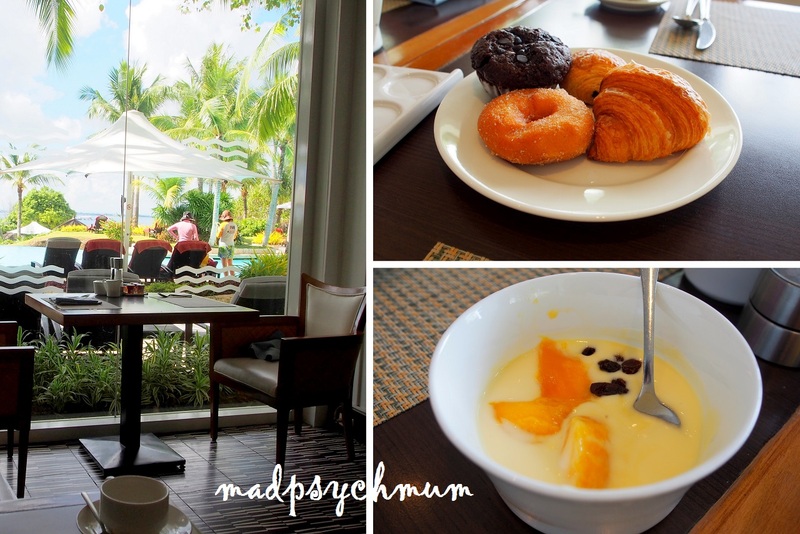 Goodbye Shangri-La Mactan! We will miss you! Disclosure: Complimentary accommodation, breakfast and chocolate high tea were received from Shangri-La Mactan Resort & Spa for the purposes of this review. No monetary compensation was received; all opinions are my own.